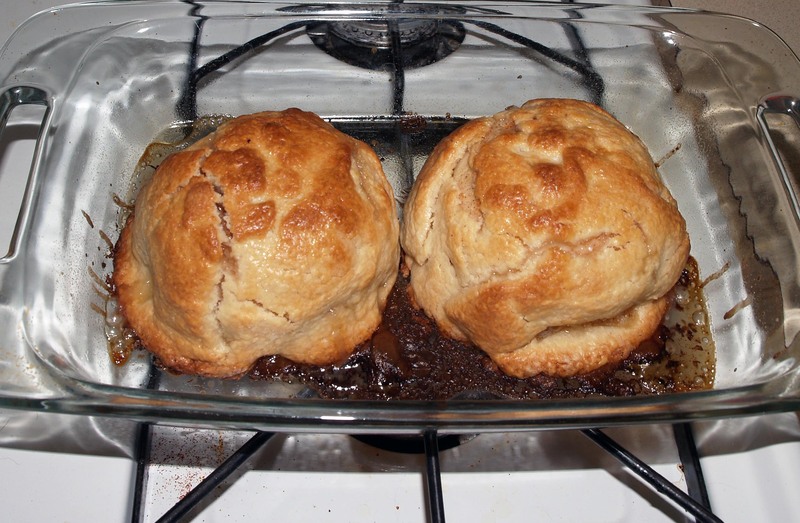 Caramel Walnut Apple Dumplings for Two | I Wanna Bake! 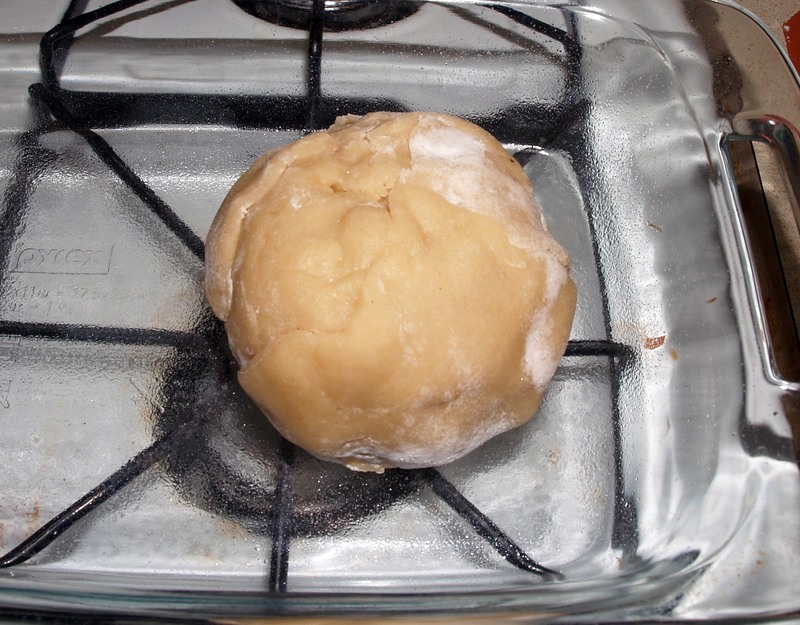 For my first trick, I give you my take on apple dumplings. 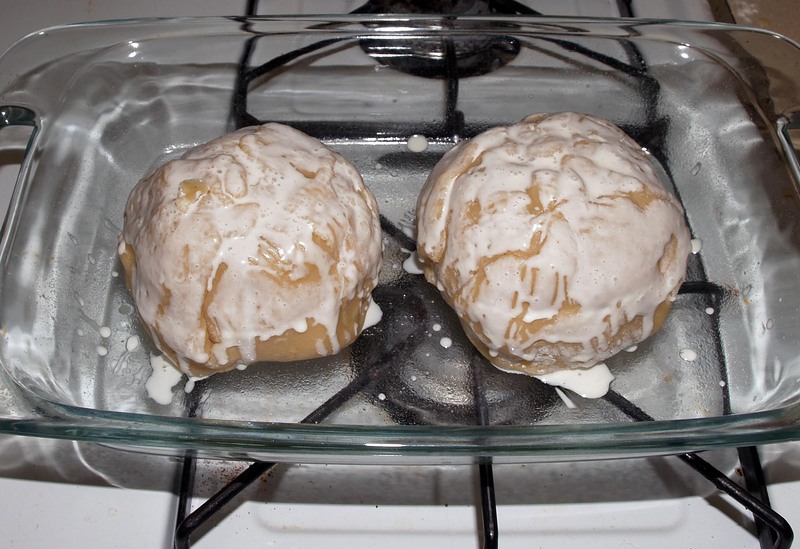 I confess that I had no idea what an apple dumpling was until I saw them in the grocery store a couple weeks ago and decided to give them a try. The grocery store apple dumplings followed the standard preparation with brown sugar inside and sugary sauce outside, and it was delicious. Since I clearly had enough apples, I decided to give it a go, Katie style. I used this recipe for guidance, but as usual, I experimented. 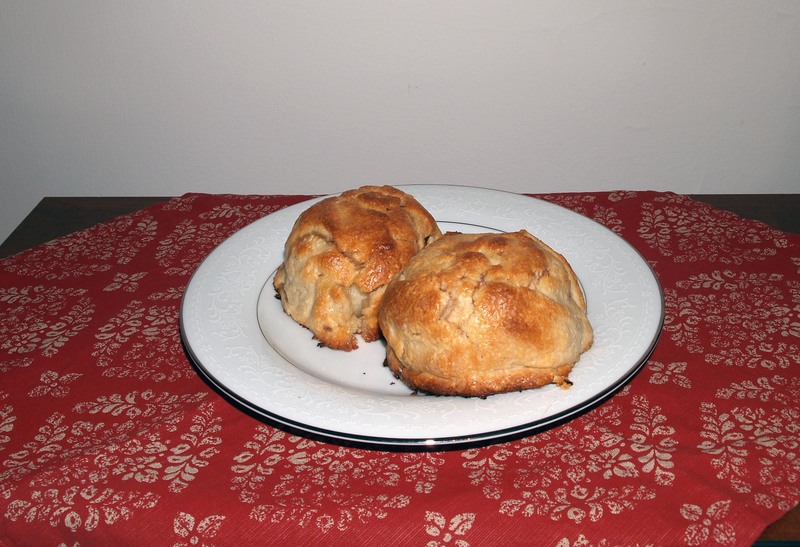 I used Jonagold apples (my favorite) because they are sweet but slightly tart, bake nicely, and have a nice size to them. Any apple that’s good for baking and is decently large will work well, so use whatever you like best. I decided against cooking the dumplings in a sauce because I didn’t like the idea of soggy pie crust. I also decided to dress up the filling a little bit by adding caramel and walnuts. The result was akin to an inside out caramel apple that oozed nutty caramel deliciousness, all wrapped in a sweet, flaky pie crust shell. Mmmmm. If you really like the idea of the inside out caramel apple but are more of a purist, you can use peanuts instead of walnuts, or swap in some mini chocolate chips instead. Alternatively, you could leave the nuts out and just fill up the apple centers with caramel bits. I used Kraft caramel bits because they’re a lot easier to work with than the individually-wrapped variety, and a lot less fussy than making your own caramel. 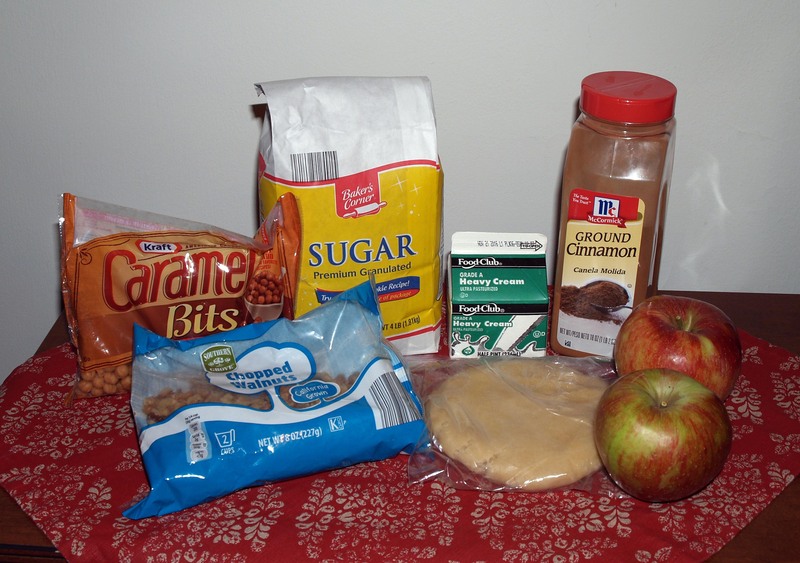 In fact, if you use pre-made pie crust, this recipe quickly falls into the easy category. We ate these plain right out of the oven, and they were delicious as they were. However, if you’re in the mood for a little extra indulgence, they would pair nicely with vanilla ice cream, honey, or freshly whipped cream. They’re also good cold, so if you want to increase the recipe and save the rest, you can have a nice surprise for the next day waiting for you in the fridge. I did have a bit of leftover pie crust, so you can probably get at least one more apple out of a full recipe of sweet pie crust (for a total of 5 apple dumplings). I’ve had “Once in a Lifetime” by the Talking Heads stuck in my head for… I don’t know how long now, so I gave in and streamed some Talking Heads on Amazon Prime. Stop Making Sense is a classic staple, but I was really into Remain in Light during my season of apple madness. 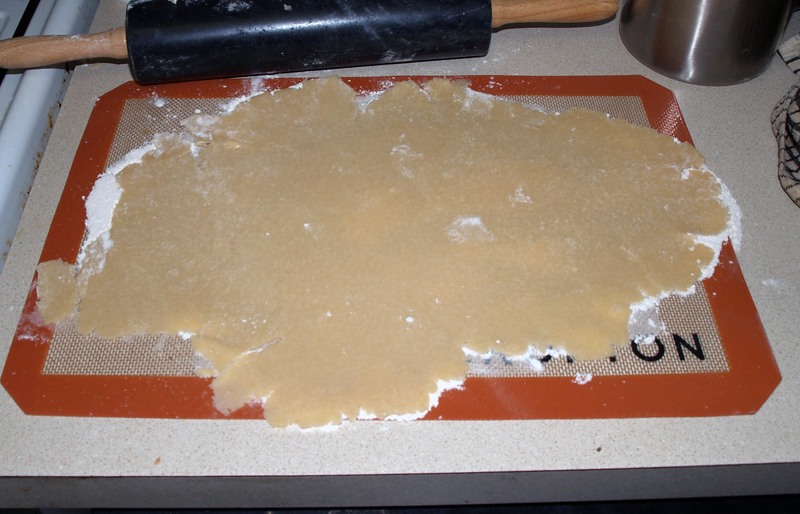 If you are making your own pie crust, do so at least an hour in advance so it has time to chill. You can make the full recipe and just freeze the other half or use it in some other bakeventure. It will be easier if you form the half of the dough you will be using into a flattish rectangle before chilling, but the shape isn’t entirely vital. Preheat your oven to 425°F. 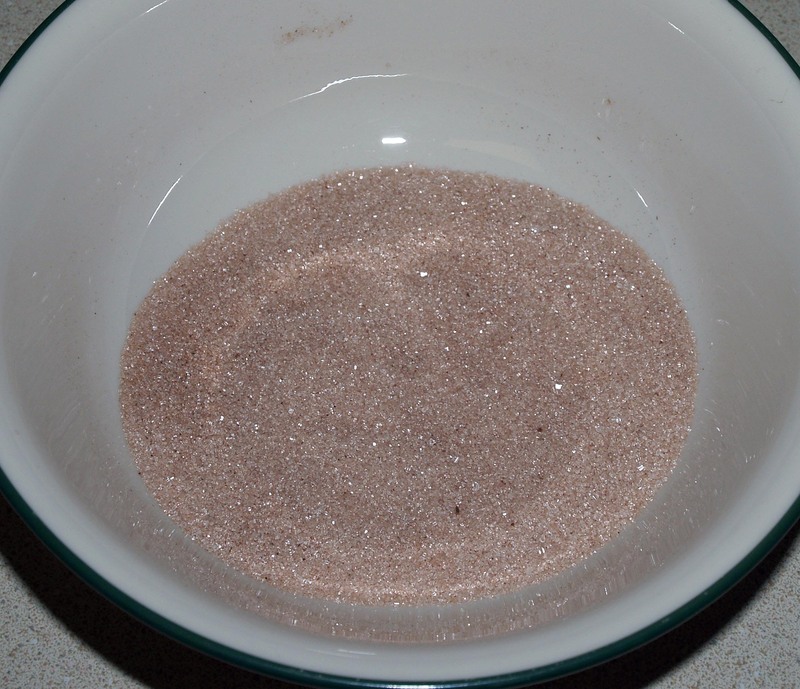 In a small bowl, stir together the sugar and cinnamon and set aside. 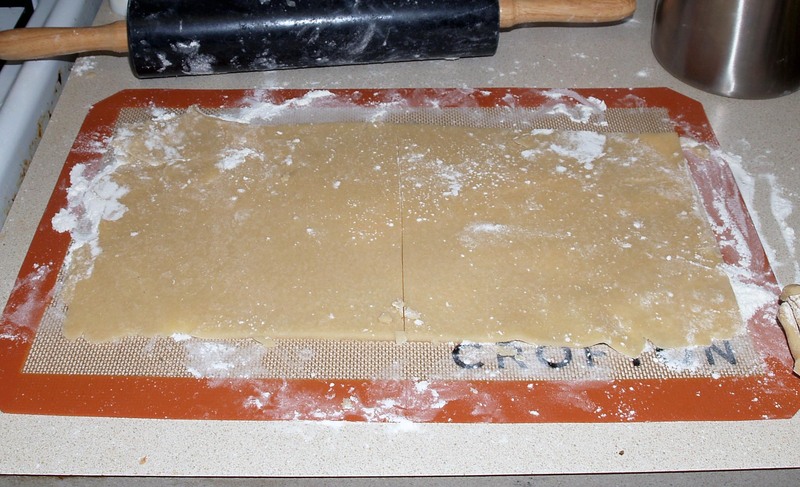 When your pie crust has chilled, roll it out into a 14″x7″ rectangle. As you can see, you’d have to really use your imagination to call mine a rectangle, but it’s ok as long as you have an unbroken rectangle of the required size within that blob because you’re going to trim it to make it neat. If parts aren’t quite the right size around the corners, or if you accidentally tear your dough, you can use the trimmed off scraps as patches. Once you’ve made your rectangle pretty(ish), slice it in half to form two squares of dough. Once you’ve cut all the way around the core, push the core out and discard it. 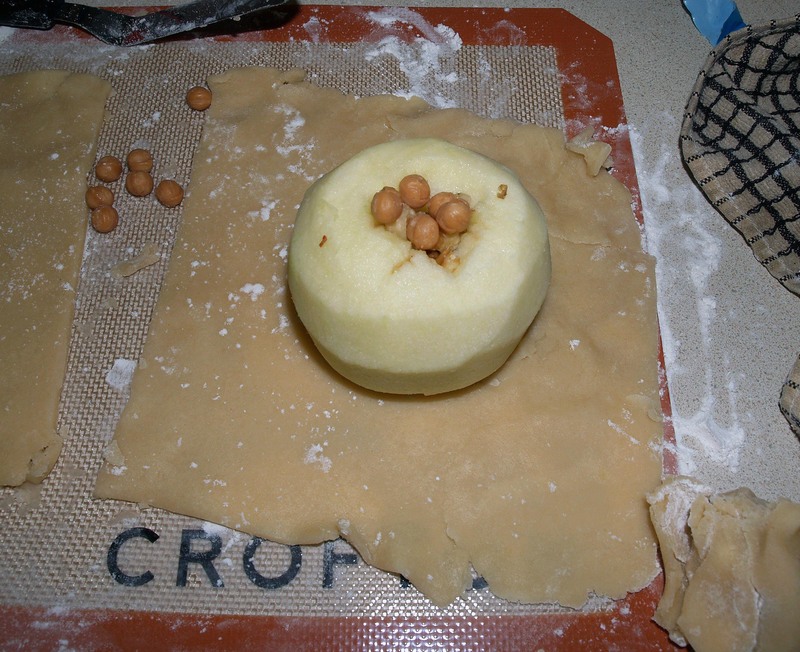 Place one apple in the center of each square of crust. At this point, it’s a good idea to make sure that your crust squares are big enough. Bring the corners together over the center of the top of the apple (see below for pictures). 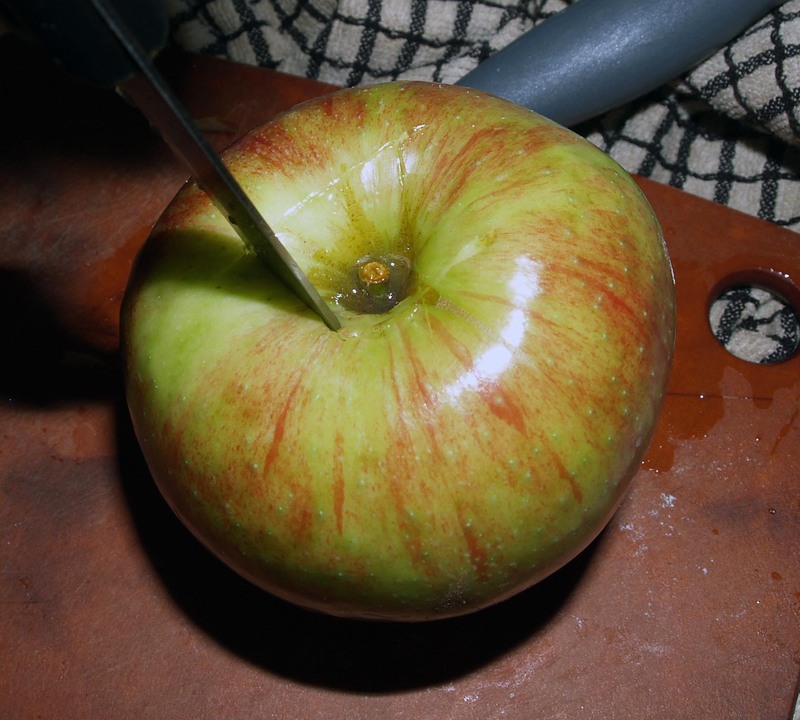 If they don’t overlap, slice off enough of the bottom of the apple to make it fit (unplanned snacks, yea!). Drop 5 caramel balls into the core hole (push them all the way to the bottom of needed), then drop 1 teaspoon of chopped walnuts on top of those. Fill the hole the rest of the way up with caramel balls, squishing them in as best you can and letting them overflow the top a little. Sprinkle the top of each apple and the exposed crust square generously with cinnamon sugar (you will probably have some leftover). 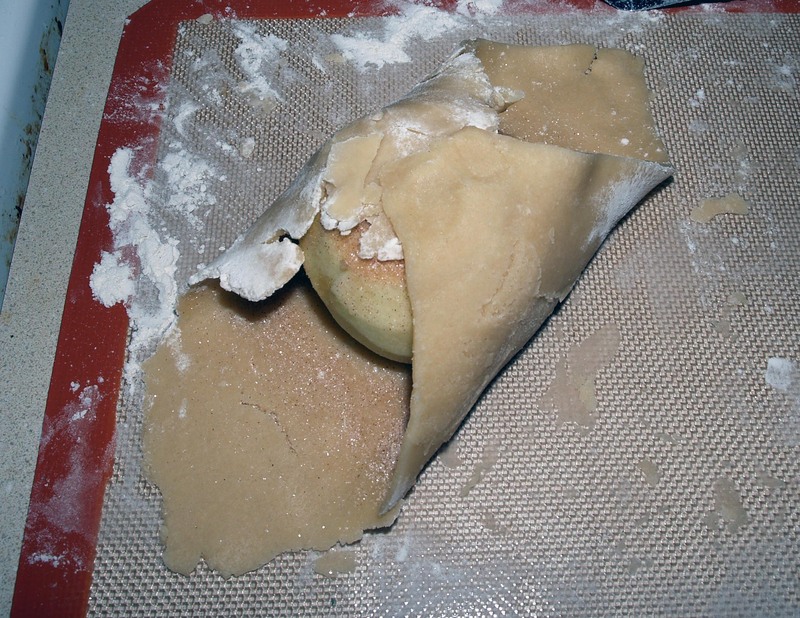 Carefully pick up two opposite corners of pie crust and bring them together over the top of the apple. Pinch them together to make them stick. 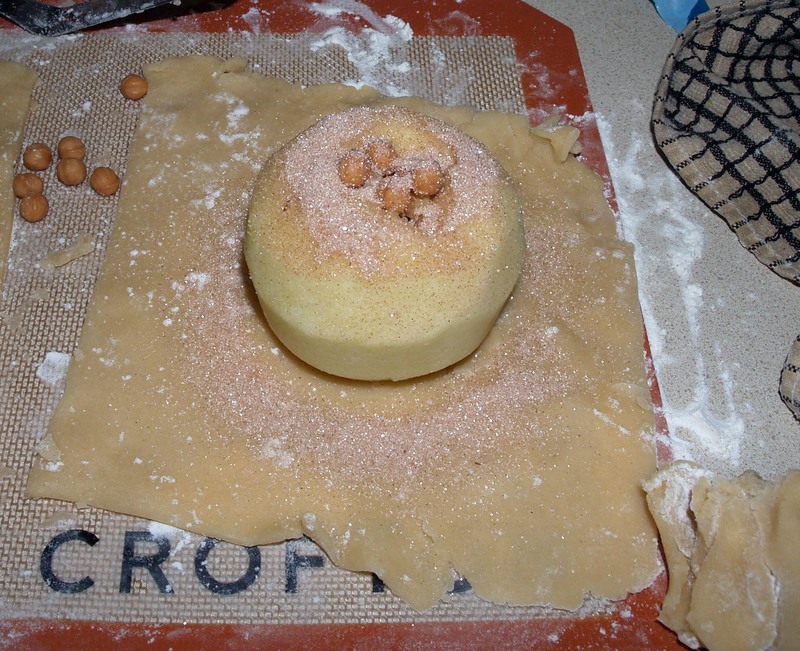 Repeat with the remaining two corners, pinching the edges of the dough along the way to seal the apple all around. Check it all over to make sure there are no cracks. Brush each apple with heavy cream and transfer them to a greased baking dish. Sprinkle them with coarse sugar if desired (I didn’t, but I would have liked to). 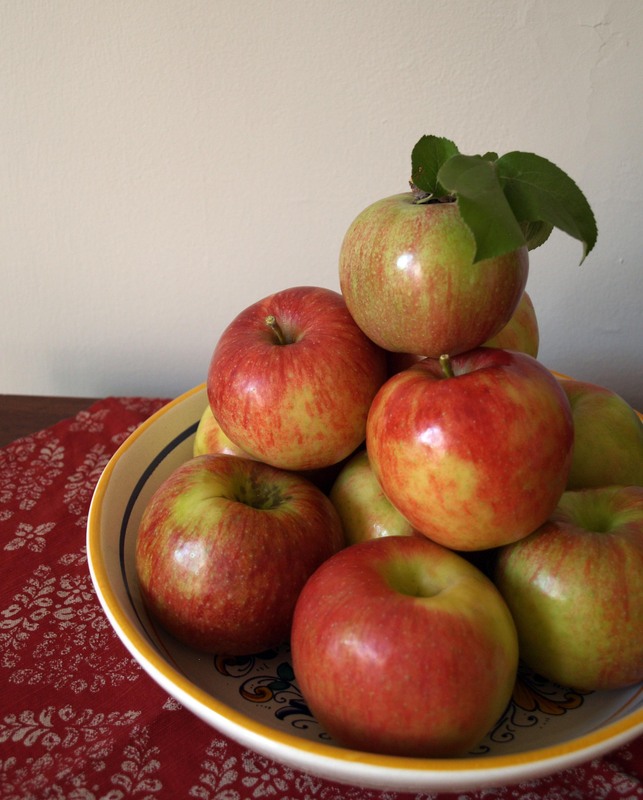 Bake the apples for 30-40 minutes, or until they are nicely browned and the apples are softened. Enjoy the delicious smells of fall wafting through your home. Let the apples sit until they are cool enough to handle (for me this was about 15 minutes, for Josh it was more like 30-45). Serve warm with honey, vanilla ice cream, or plain.